ZM Land & Capital and Metropolitan Thames Valley have secured planning approval for their 1,000,000 ft² mixed use scheme including 1,440 flats and 150,000 ft² of commercial space, known as the Wheat Quarter, in Welwyn Garden City, Hertfordshire. 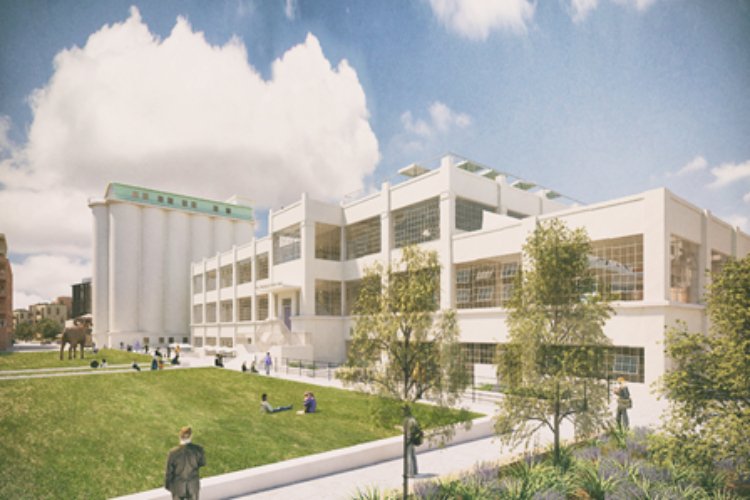 The 24 acre site which abuts Welwyn Garden City’s town centre and railway station, with travel times to London Kings Cross of around 22 minutes, will see the restoration of the iconic Art Deco buildings, originally constructed in the 1920s to house Nabisco’s Shredded Wheat factory. The 63,000 ft² Production Hall is being fully renovated to provide high quality, characterful offices, and the adjoining listed buildings are to be reused to create an innovative new art hub and museum space designed by Tate Modern architect Jamie Fobert. 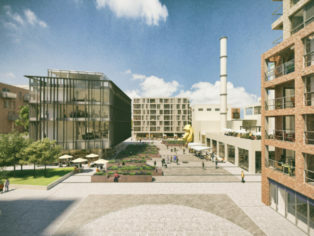 The scheme incorporates a new Civic Building with a Wellness Centre and Performing Arts facility designed by architects Louis de Soissons, the practice that originally designed much of Welwyn Garden City, including the Shredded Wheat factory. Together with high quality public realm, piazzas and squares framed by cafes, restaurants and wine bars, there will be an array of leisure facilities and public art. 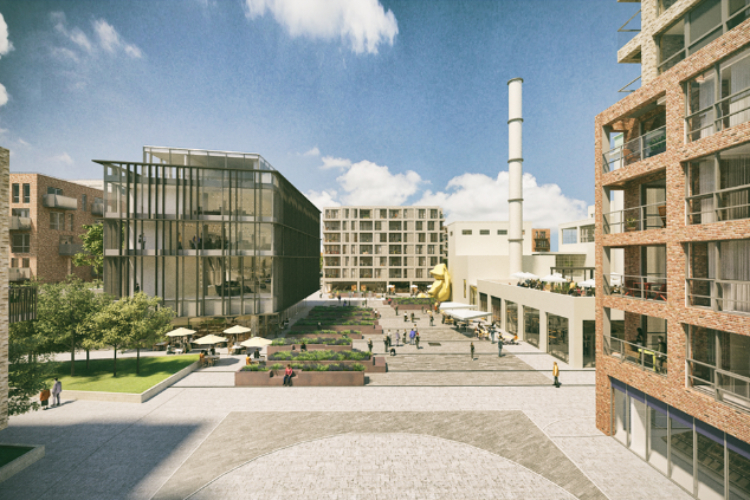 Demolition and site remediation was undertaken earlier this year and development of the first phase to include the Production Hall, public realm and Civic Building is due to commence in the second quarter of 2019. The first phase is scheduled for practical completion in 2021. LSH and Savills are the appointed agents on The Production Hall.